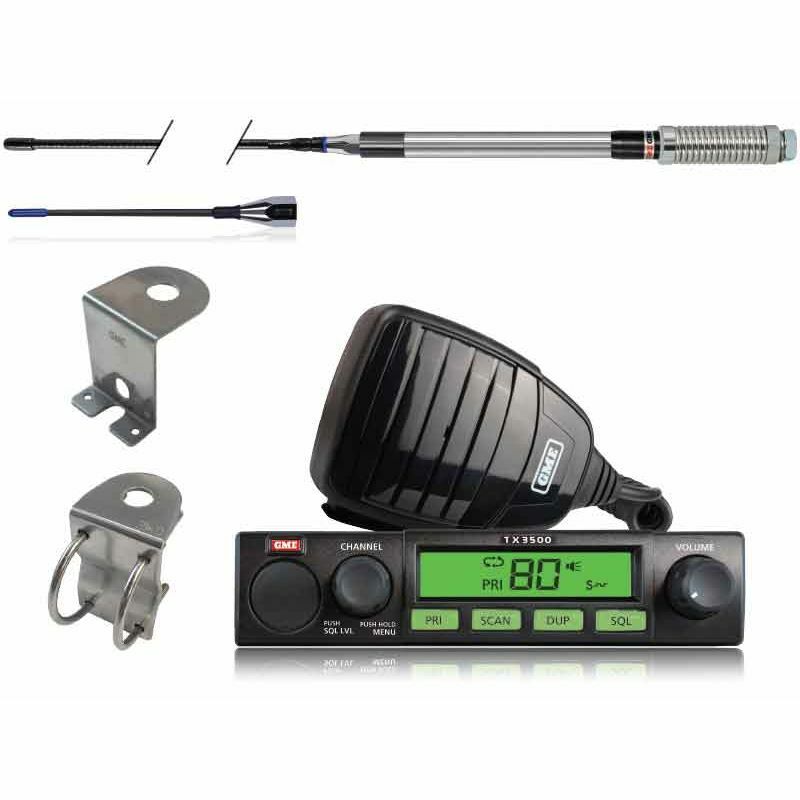 Minimum quantity for "GME TX3500S UHF COMPACT RADIO VALUE KIT" is 1. UHF CB RADIO WITH SCAN SUITE. 5 WATT. KIT INCLUDES AE4018K2 AERIAL AND TWO UNIVERSAL MOUNTING BRACKETS.